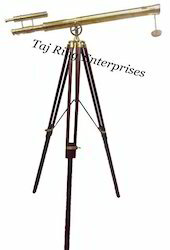 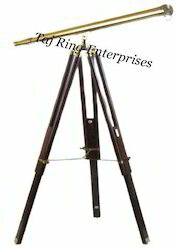 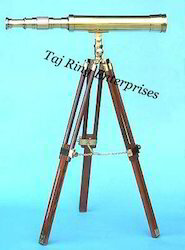 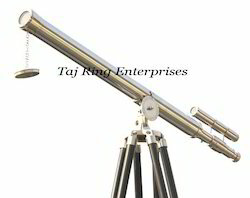 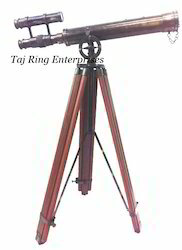 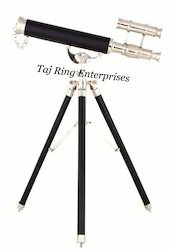 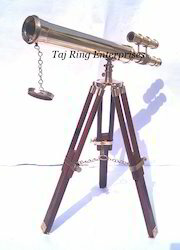 Our product range includes a wide range of nautical telescope with tripod, vintage table top nautical telescope, nautical brass telescope, brass telescope with stand, nautical telescope 1 mtr and antique telescope with stand. 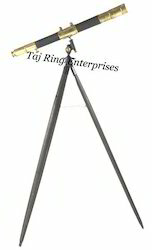 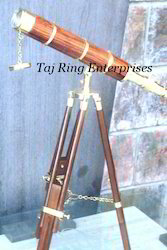 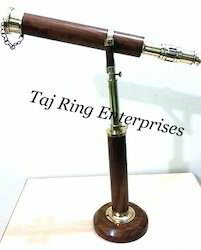 Telescope Lenght:-10", Stand ht:- 13"
The Stand has an adjustable knob to change and hold specific direction. 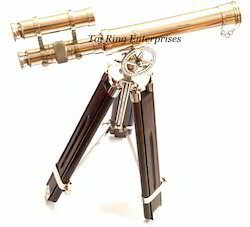 Focusing is accomplished by adjusting the eyepiece ring on the telescope tube.Its Beautiful Nautical Polish Finish Marine Telescope All work is hand made. 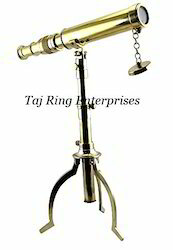 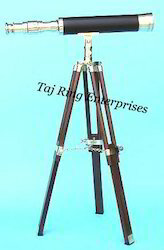 Floor Nautical Brass Telescope Telescope Length:- 1 mtr. 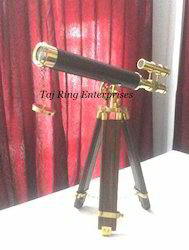 Collectible Nautical Polish Finish Telescope Telescope Mounted On Stand All work is hand made Its Best Gift For Collectors Marine & Maritime Brass Telescope.Beautiful Telescope used for Decoration Garden, Office Etc any Where. 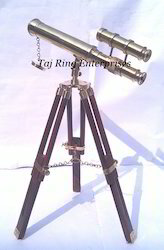 Collectible Nautical Polish Finish Telescope Telescope Mounted On Stand All work is hand madeIts Best Gift For Collectors Marine & Maritime Brass Telescope.Beautiful Telescope used for Decoration Garden, Office Etc any Where. 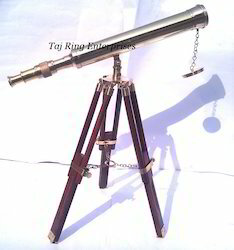 Nautical Nickel Plated Stylish Marine Telescope With Tripod Collectible Nautical Nickel Finish Telescope Telescope Mounted On Stand All work is hand madeIts Best Gift For Collectors Marine & Maritime Brass Telescope.Beautiful Telescope used for Decoration Garden, Office Etc any Where. 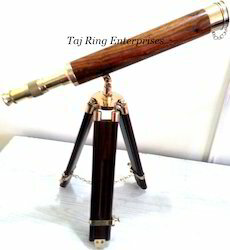 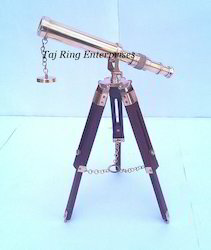 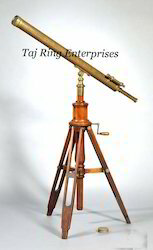 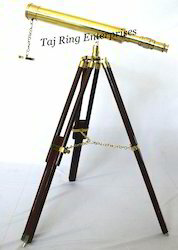 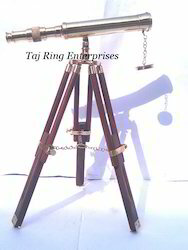 Brass Replica Stylish Telescope..The Stand has an adjustable knob to change and hold specific direction. 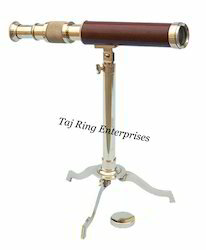 Focusing is accomplished by adjusting the eyepiece ring on the telescope tube.Its Beautiful Nautical Polish Finish Marine Telescope All work is hand made.